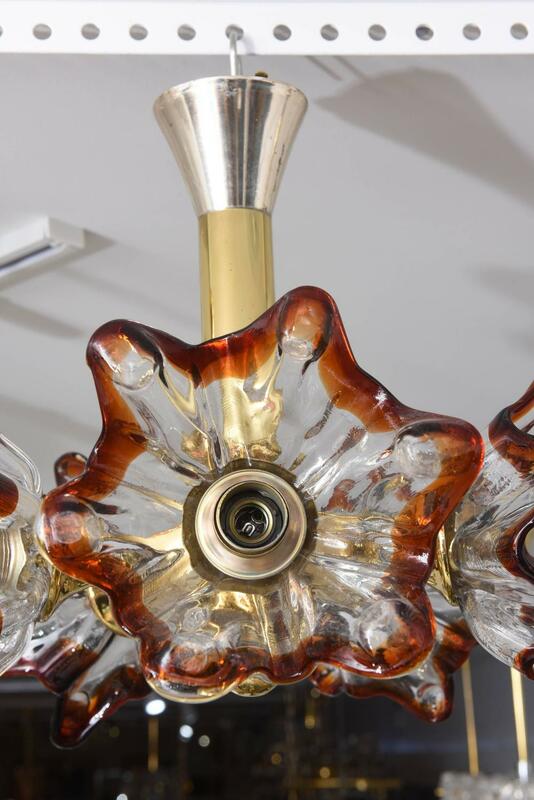 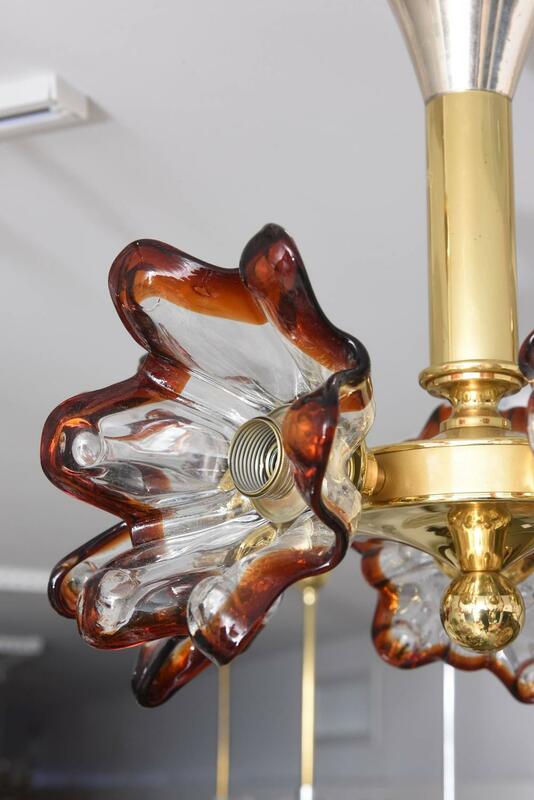 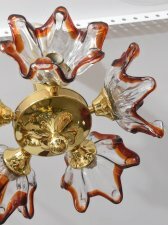 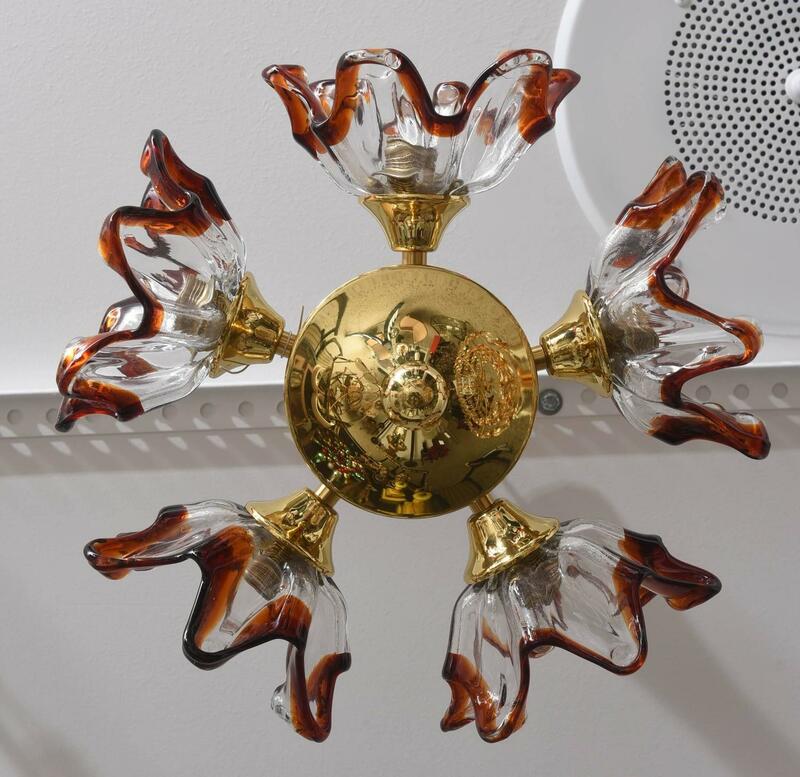 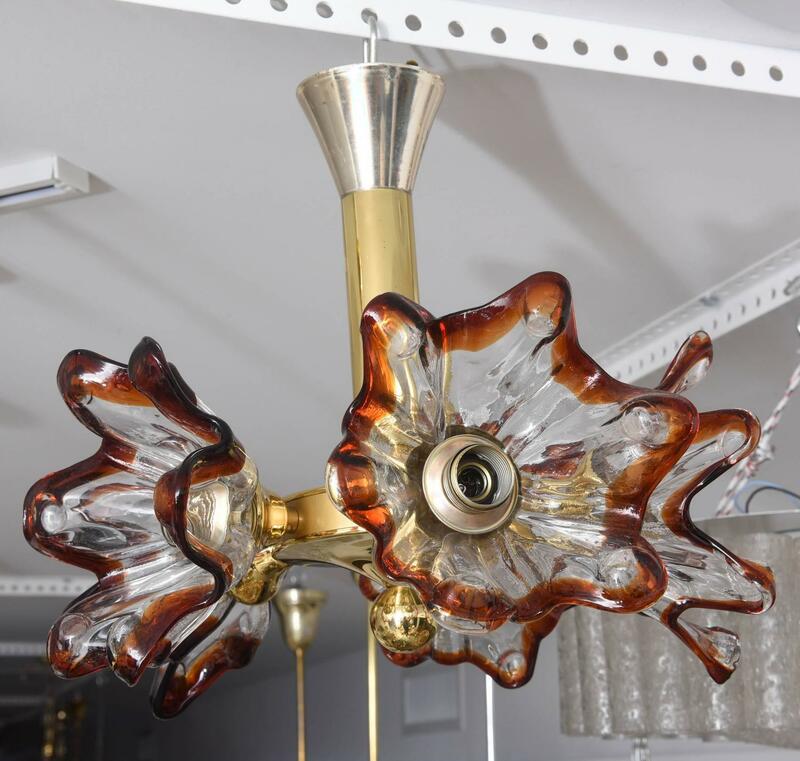 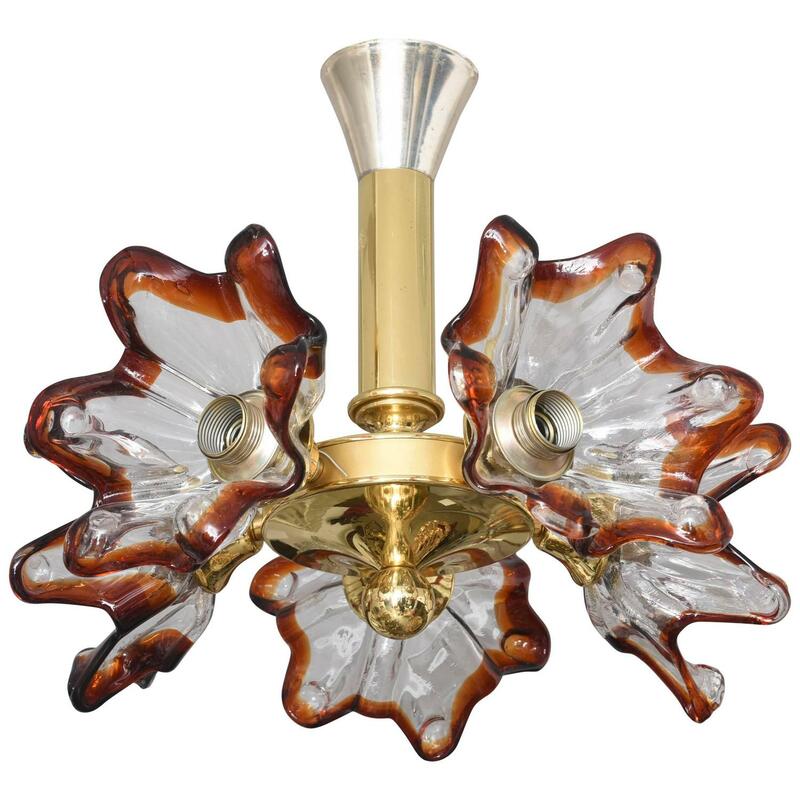 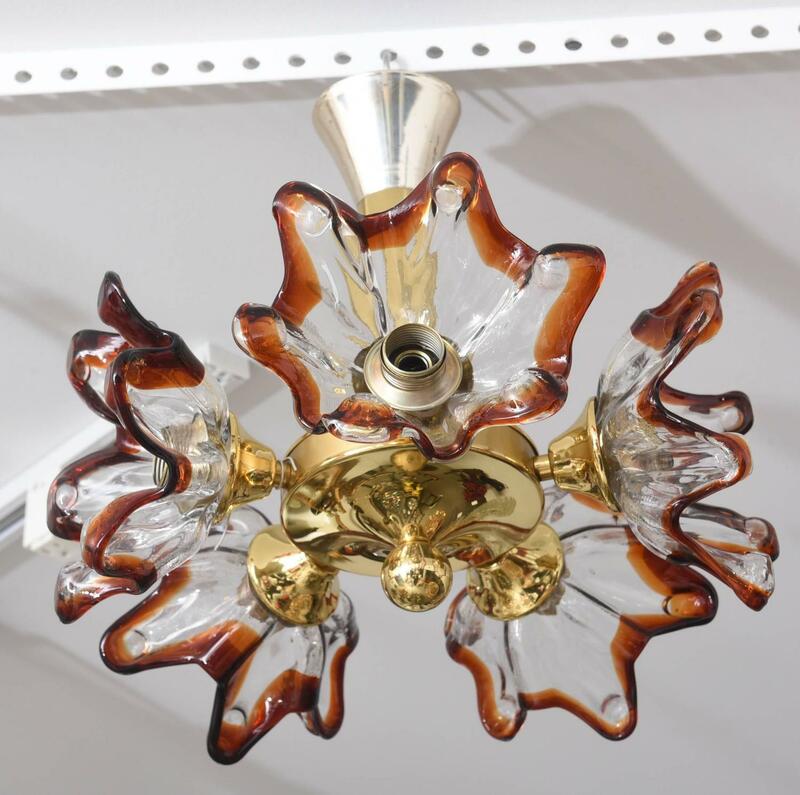 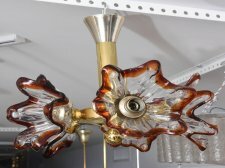 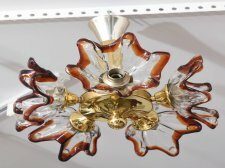 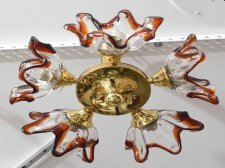 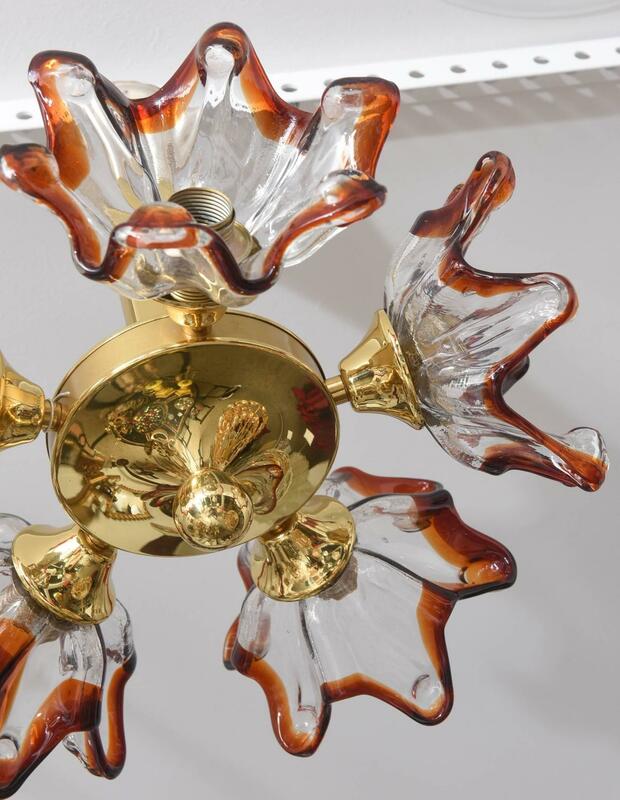 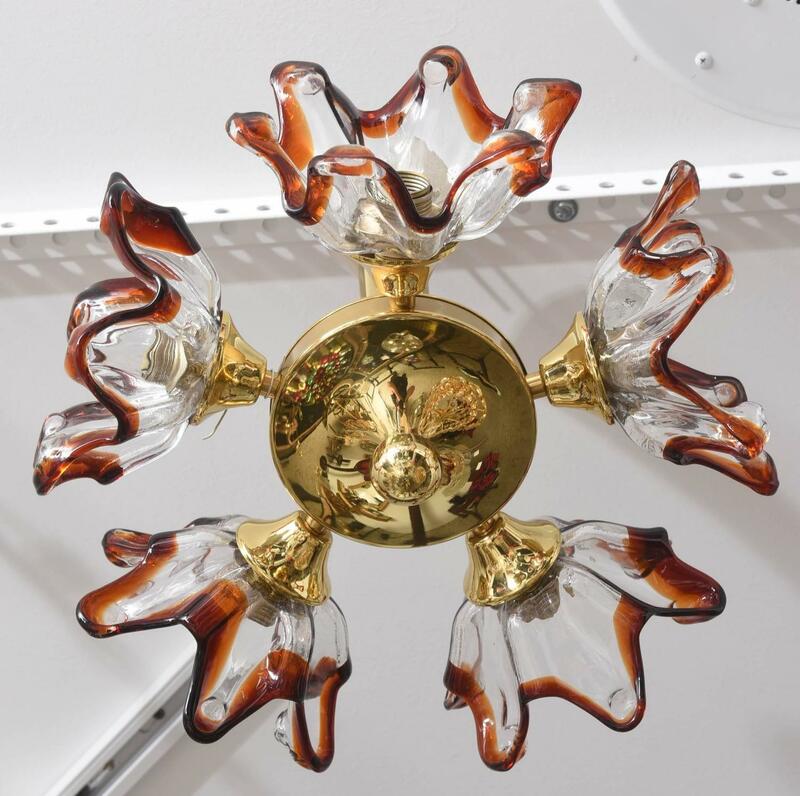 This amazing mid-century chandelier with its five Murano glass stylized floral blossoms in clear and amber-colors was created by the iconic firm Mazzega in the 1960s. 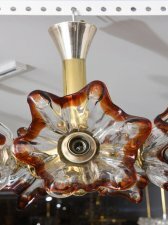 The blossoms approximately measure 7' diameter x 7" Depth. 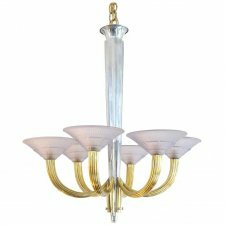 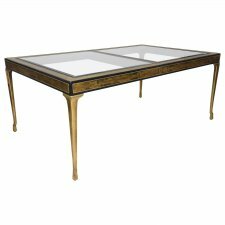 Note: This piece requires five Edison based bulbs.